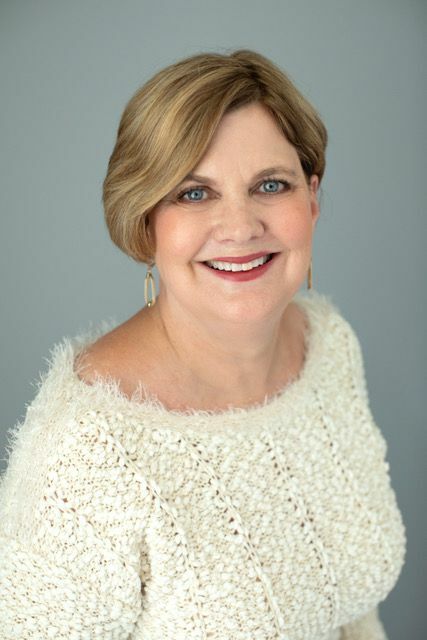 Sherry MacDonald joins us today to talk about fitness over 50 and how to determine if some of the popular exercise programs out there are for you. Sherry has worked out for over 35 years and has owned a personal training studio for the last 19 years. She is an author, a life and nutrition coach and a personal trainer. She knows her stuff! I’m so glad she is here today to educate us on this topic. I’ve learned so much from her. She also wrote this post for My Side of 50 a few months ago: The Top 5 Crazy Exercise Myths That Women Need to Know. When it comes to exercise and fitness over 50, where do you start? If you are already exercising, are you doing the right exercises for you? How do you know? Your age is one factor. I am not one to let my age stop me from most things. But I do know that I can’t jump around like I used to and I can’t press 65-pound dumbells anymore. Your nutrition, the shape you are currently in, your physical limitations and goals for exercise are some of the other things to take into consideration when deciding what type of exercise to do. There are so many exercise options and programs available these days. It seems like every day there are new franchises going up like Boxing, Crossfit, Orange Theory, Hip Hop, Zumba, and the many different types of yoga. So what exercise should you do? First, let me show you how I evaluate an exercise program based on how I evaluate my clients before designing an exercise program for them. Do you have any injuries or pain in the knees, hips, back, shoulders? If you have any injuries or pain and join one of the group classes mentioned above you could be in trouble. In most group classes, everyone does the same thing. For example, if you have a bad shoulder (or bad posture) you probably shouldn’t put your arm over your head while holding a weight. This can cause more pain and bigger problems. In a group setting, they don’t know about your problems. The best thing to do before starting any exercise program is to work with a personal trainer, even if it’s for a short time, so they can design a custom exercise program for you. They can also help you decide what classes or program might be right for you. What imbalances do you have? Is one quad or hamstring tighter than the other? Is one hip more rotated? What is your range of motion at all joints? Do you have a posture problem? If you know you have any of these problems, they should be addressed before you start any exercise program. Again, your best place to start is a personal trainer. You might say you can’t afford a trainer, but working with one does not have to be long term. How is your nutrition? What do you eat? Did you know that if you eat too much sugar or junk food you are more likely to get an injury and it will take you longer to recover? Well, it’s true! As we get older it already takes longer to recover from our workouts. Add bad nutrition to the equation and you might be looking at a 3 to 5 day recovery period. What is your stress load? The more stress you have in your life (internal and/or external – your body doesn’t know the difference) the less intense your exercise program should be. A Yale study involving undergraduate students demonstrated how people with chronic stress take longer to recuperate from one high-impact exercise session. Stress levels were assessed using a psychological tool. After an hour of exercise using heavy leg weights, the students with the lowest stress levels had regained 60 percent of their leg strength, whereas the high-stress students had regained only 38 percent. So, if your stress level is 8 out of 10 you should be doing something like Tai Chi, Qigong, or maybe a gentle yoga class. You can read about the study here: 10 ways stress affects your workouts. Think about your goals. Do you want to walk a 12-minute mile? Have nicer arms? Lose weight? Then ask, “What kind of exercise or class do I need to do to reach these goals?” How hard should I be working? Where can I go to do the exercises that will help me meet my goals? What days and times can I go? Make sure you have a plan. Here is a description of some popular exercise programs and who should be doing them. 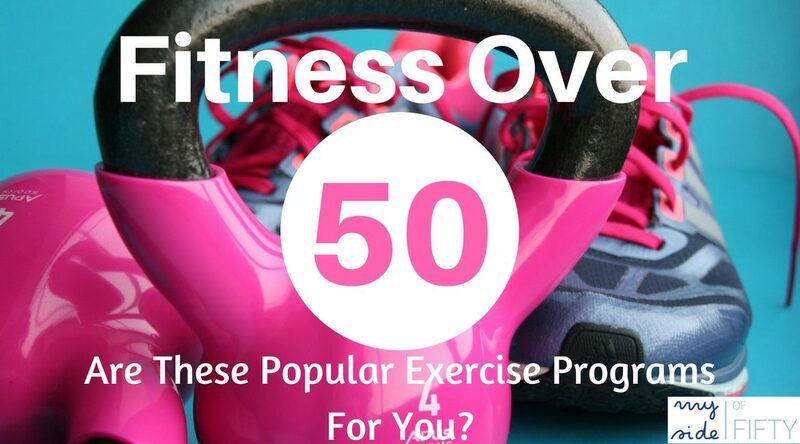 Thinking of joining one of these popular exercise programs? 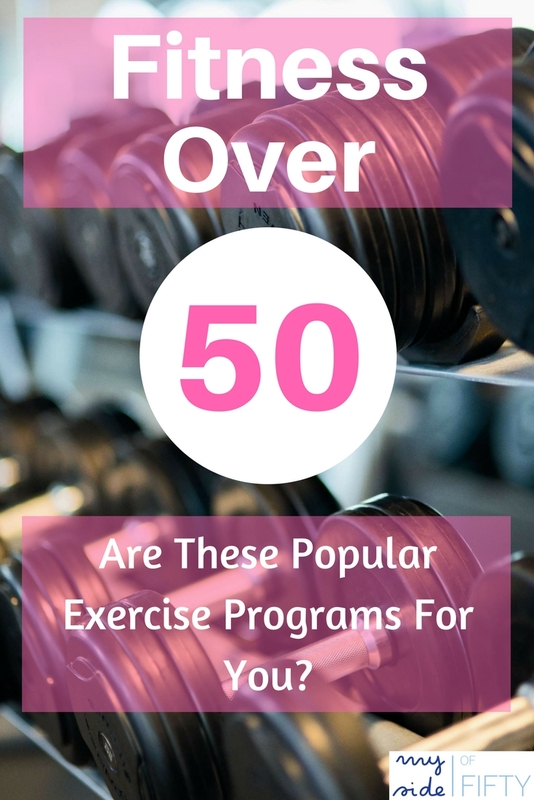 Get my Exercise Evaluation Checklist here! Dance – Zumba, Hip Hop (my favorite cardio workout), Bollywood, and Salsa. Anyone can dance, although some of the classes can be pretty fast. They repeat movement to make it easier to catch on. The good thing is you can use smaller movements to use less energy. Go at your own pace. Orange Theory or HIT (high-intensity training) class – if you are competitive you will like this class. The idea is by sustaining a target-zone heart rate you are increasing your metabolism. The result is extra calorie burn and increased metabolism. Each participant will wear a heart-rate monitor that is synced up to one of several TVs lining the wall. You’re expected to monitor your own output throughout class. If you have any type of injury, high stress, or eat bad food this is not the class for you. (Note from Cathy, January 2019) – I have done Orange Theory for about two years and like the intensity and variety. However, the classes are large and if you are doing any of the exercises with bad form that could lead to injury, it is highly unlikely that the coaches will see it and correct you. There are just too many people. If you don’t have prior exercise experience with a trainer or someone who monitored your form, I would not start with Orange Theory). (Note from Cathy, January 2018) – That 50+ Crossfit Competitor is me! Full disclosure: I wrote this post in 2015 and I competed in an in-house competition where movements that I could not do SAFELY were modified. After some health issues forced me to take a 6-month hiatus from Crossfit, I started back slowly, working with my wonderful Crossfit Trainer, Matt, who is well-versed in how to work with people in midlife. I am also back in regular classes, but again, movements that I cannot perform with proper form are modified. After a break and being a couple of years older, I am not at the level I was two years ago. And that is perfectly fine. I go 3 times a week, get a great workout that includes cardio and weight training and workout with a supportive group of friends. I totally concur with Sherry – if you are considering Crossfit, make sure you have the right Box and the right Coach). Cyclebar – CycleBar gives people the option to track their performance. It’s not required, but most people do. If you ask me, it is very competitive. When I took my first class I was expecting a dark room with a big screen and the instructor taking me on a journey, maybe to Ireland. This is the kind of cycling class I like. Anyone, any age one can do this class because you can go at your own pace. Don’t get caught up in trying to keep up with everyone else unless you have been cycling for a while. Barre Class – The barre is used as a prop to balance while doing exercises that focus on isometric strength training combined with high reps of small range-of-motion movements using light handheld weights. Mats are also used for targeted core work. Barre work is safe for most people if you listen to your body but, don’t think you are going to get “long and lean” from any class without addressing your nutrition. In my opinion they do way too many reps, which can cause overuse injuries. If you want nice arms then exercise using heavier weight and eat good food – I’m just saying!!! Boxing (Title Boxing) – This class starts with a 10-15 minute warm-up, which includes some stretching and then plenty of cardio. It can include some jogging, jumping jacks, side stepping, high knees, skips, and more. The basic structure of the regular boxing class includes eight sets of three minutes of boxing, with one minute “active rest” (burpees, pushups, squats, planks, and more), in between. I don’t call that rest! I have a 72 year old client who does group training at my studio one day a week and then does one day of Title Boxing. Her trainer (who is over 60) went to one of her classes with her. She reported that yes, she is in great shape but was not strong enough to hold some of the moves and most of the time she had bad form and no one corrected her. They will push you from the start, so I wouldn’t recommend this class to over 50 gals unless you are already in good shape. To sum this up, there are people out there who are over 70 doing all of these exercises. There are several clients in my studio over 70 who are doing some of these classes. So don’t let your age stop you! Do answer the questions above to determine which classes to take and how hard you should work. And do start with a qualified Personal Trainer to evaluate you before you begin. I would love to know if you think about the questions above before exercising and what kind of exercise class you take. Let me know in the comments below. Sherry has worked out for over 35 years! It’s her life. Her passion is teaching others how to eat, move and be healthy. She has owned a personal training studio for the last 19 years. 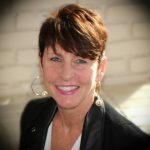 Sherry is an author, photographer, life and nutrition coach, and a Personal trainer. She loves hiking, lifting weights, photography, and animals. I used to be a huge “workout until you die” kind of girl! But now that I’ve gotten older (and smarter), I subscribe to the gentler and kinder work outs!! I truly love yoga and pilates and have now just started incorporating ELDOA in my life!! Jodie, I am also over that ‘workout until you die” yoga and Pilates can be a very challenging workout or you can tone them down a bit. Keep up the good work!!! Jodie – what is ELDOA? I just turned 40, and I go to Crunch and Zumba and I love the other ladies who are there working it! Life goals! I also love Zumba. I hope to be shaking it when I’m 90! It makes such a difference when you have a great group to workout with. I really love my Crossfit friends! Your welcome! We’ve been told so much to just push through it but you are right sometimes you shouldn’t. Listen to what your body needs, it will tell you. Joy – you are so right. And sometimes we have to fight the urge to push beyond what our bodies tell us! Great post! Just the other day I was talking to a neighbor who wants to start working out but she’s not sure what kind of exercise is best for her age. We were wondering about water aerobics. What do you think? Hi Fabiola, water aerobics are great for anyone, but it’s not weighted bearing and won’t d much to strengthen your bones, so don’t forget to weight train. Anyone can weight train! I’m surprised that Jazzercise wasn’t listed under Dance! It incorporates dance, cardio, weights, pilates and some yoga moves. One of the best things about it is the instructors will demonstrate different intensity levels for each exercise, so you truly can go at your own pace and fitness level. Slyboj, Jazzercise is great and yes it would fall under the dance category. It is a safe exercise and most people can do it. It’s all about haveing some fun! Thanks for this very helpful post explaining the different types of workouts. I think I will give the boxing a miss LOL. Thank you, Kathleen! I agree with the boxing but give some of the others a try! This is a great breakdown of all kinds of fitness programs. I guess the bottom line is, if it doesn’t feel good to you then check out some other options. I have severe arthritis in my joints so water is the answer to my prayers. I will work in the pool using water and resistance to achieve my goals. Olivia – glad you have found water work to be the answer for you! Olivia, water aerobics in great for arthritis! What can help even more is not eating foods that cause inflammation like, dairy, sugar, and vegetable oils. I hope it keeps getting better. Great post! I was really shocked to learn that a less stressful workout is needed when you are stressed out. It seems like media and movies are showing the opposite. Thank you for that info!! Dianna – that was a surprise to me too! Sherry gave some very valuable info in this post! Dianna, yes it is sad that you cannot believe everything you hear or read. Thanks for reading! I did Zumba on a cruise and it was so fun. And I love yoga! Thanks for introducing Sherry, Cathy. I’m so happy to see so many different options for keeping us Fit over 50. I would love to try the barre class and the Orange Theory which I’ve just heard about. Thanks for the info ladies and for sharing with us at #overthemoon link party. Wow, I didn’t know a lot of this information. I always have just worked out not even wondering about these questions. You make such great points. Thank you for sharing this information to bring it to others attention! Thank you! Thanks for linking up to #overthemoon Cathy and there are some great options for us Over 50s to keep fit. Happy Holidays! Zumba was my #1 fitness workout when I was in my 40’s, but now that I am 50+ its WALKING! I definitely need to exercise more, but with RA its hard to figure out what to do. What I do do is alot of walking, swimming and yoga. It has helped me get healthier, but also has helped with the RA. I love Classical Stretch – Miranda Esmond White combines pilates, ballet, tai chi, and yoga to devise these 30minute workouts that are terrific and low impact. I feel so much better when I do them and they are great for relieving arthritis pain. Your ideas sound intriguing too! Marilyn – so honored to be featured and that the OTM folks found this post of interest! That’s exactly right, Jennifer! And if it’s not fun, you’re not going to do it. Glad you found some enjoyable ways to move!